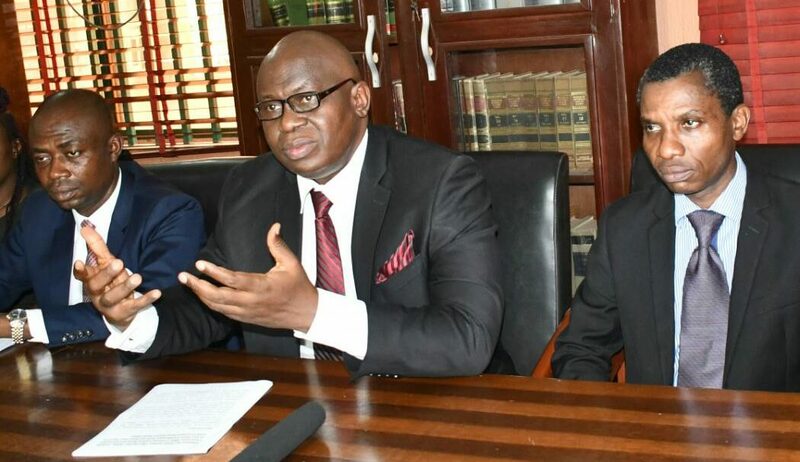 The fifth series of the NBA Criminal Justice Reforms Conference, organized by the Nigerian Bar Association Criminal Justice Reforms Committee will undertake a painstaking and holistic review of the Act with a view to tackling challenges and plugging all loopholes relating to its smooth implementation. 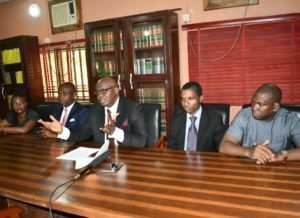 Speaking during a Press Conference organised on Saturday, April 21, 2018 at the Law Office of Chief Arthur Obi Okafor SAN, Asaba, Delta State to announce details of the NBA Criminal Justice Reforms Conference, the chairman, Arthur Obi Okafor (SAN), stated that the conference will be graced by a host of distinguish speakers and leaders of thought drawn from various spheres of influence. L-R: Mrs. Folake Godwin Peters, Mr. Andrew Odum, Chief Arthur Obi Okafor (SAN), Mr. Emeka Nwadioke and Mr. Okechukwu Uzoechi at the press conference. The NBA Criminal Justice Reform Committee spanning several years, and conferences held in the past has been equally instructive for the fact that resolutions from these conferences have contributed immensely to reshape our criminal justice sector. Perhaps worthy of special mention is the ground-breaking Administration of Criminal Justice Act (ACJA) 2015, which is a direct outcome of some of these conferences. Other critical areas to be discussed at the conference include unlocking the innovations of criminal justice legislation; Corruption, economic and financial crimes: special courts to the rescue? Human trafficking and transnational crimes: institutional and legal remedies, and prosecution and punishment of electoral offenders in Nigeria. Apart from the keynote address to be delivered by the Chief Judge of High Court of FCT and Chairman of the Administration of Criminal Justice Monitoring Committee, Hon. 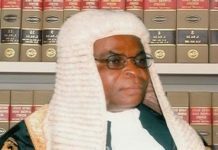 Justice Ishaq Bello, goodwill messages are expected to be delivered by several key stakeholders including the Chief Justice of Nigeria, Hon. Justice Walter Onnoghen (GCON); Senate President, Dr. Bukola Saraki; House of Representatives Speaker, Mr. Yakubu Dogara, and Delta State Governor, Dr. Arthur Ifeanyi Okowa. Welcome speeches shall be delivered by NBA President, Mr. Abubakar Mahmoud (SAN, OON) and Chairman of the NBA Criminal Justice Reform Committee, Chief Arthur Obi Okafor (SAN). A select cast of leading jurists, professionals and stakeholders will address key areas and sub-themes in criminal justice administration during the conference. These include Hon. Justice Marshal Umukoro, Hon. Justice Peter Umeadi, Prof. Deji Adekunle (SAN), Mr. Joseph Daudu (SAN), Mr. Fola Arthur-Worrey, H. E. Prof. Amos Utuama (SAN), Dr. Alex Izinyon (SAN), and Chief Mike Ozekhome (SAN). Others are Chief Okey Wali (SAN), Chief Adegboyega Awomolo (SAN), Mr. J. S. Okutepa (SAN), Chief Albert Akpomudje (SAN), Mr. Ken Mozia (SAN), Dr. Garba Tetengi (SAN), and Chief Anthony Idigbe (SAN), to name a few. Other speakers are the Economic and Financial Crimes Commission (EFCC) Acting Chairman, Mr. Ibrahim Magu; INEC Chairman, Prof. Mahmood Yakubu; Director-General of NAPTIP, Ms. Julie Okah-Donli; ICPC Acting Chairman, Mr. Usman Abubakar; Executive Secretary, Presidential Action Committee on Corruption (PACAC), Prof. Bolaji Owasanoye; Chairman, NJC Committee on Monitoring of Corruption Cases and Trials (COTRIMTO), Hon. Justice Suleiman Galadima (JSC, rtd. ); Chief of Army Staff, Gen. Tukur Buratai and Comptroller-General of Immigration, Mr. Mohammed Babandede (MFR). Permit me to note that we have received the approval of the NBA National Executive Committee (NBA-NEC) to offer scholarships especially to our young lawyers to ensure inclusiveness. Accordingly, all branch chairmen of the NBA Young Lawyers Forum have been offered full scholarships to attend the conference. A communique on key resolutions shall be issued at the end of the conference. This year’s conference will be rounded off with a dinner and award night with the recognition of some honorees for their outstanding contributions to criminal justice reform in Nigeria. They include all past chairmen of the NBA Criminal Justice Reform Committee, namely NBA President, Mr. Abubakar Mahmoud (SAN); former NBA President, Mr. Jospeh Daudu (SAN) and Dr. Garba Tetengi (SAN). Others include Mr. Fola Arthur-Worrey, Prof. Deji Adekunle (SAN), Prof. Yemi Akinseye-George (SAN), Mr. Chino Obiagwu, and veteran prison activist, Dr. Uju Agomoh. Also to be awarded are Delta State Governor, Dr. Arthur Ifeanyi Okowa; MacArthur Foundation and Yar’Adua Foundation for their support to the reform. The dinner speech will be delivered by Prof. Epiphany Azinge (SAN), former Director-General of the Nigerian Institute of Advanced Legal Studies. To ensure a seamless conference and enable conferees to have a memorable experience in Asaba, various logistical arrangements have been put in place. 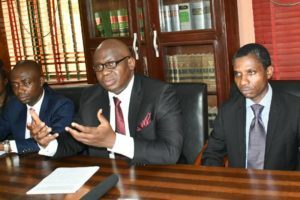 The committee – in liaison with the Local Organising Committee – has initiated partnerships with Arik Airline, Air Peace Airline, several hotels and transport companies to alleviate any challenges that conferees may face. 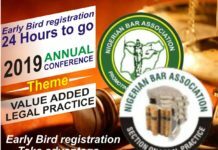 The committee praised the Nigerian Bar Association ably led by Abubakar Balarabe Mahmoud (OON, SAN) and the NBA-NEC for its support towards a successful hosting of this conference. Also worthy of special mention is the Delta State Government under the able leadership of Senator (Dr.) Arthur Ifeanyi Okowa. 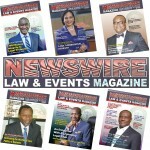 The conference has a dedicated website at www.nba-cjrc.org for online registration and related resources, and has been certified to award continuing legal education (CLE) points by the NBA Institute for Continuing Legal Education (NBA-ICLE).